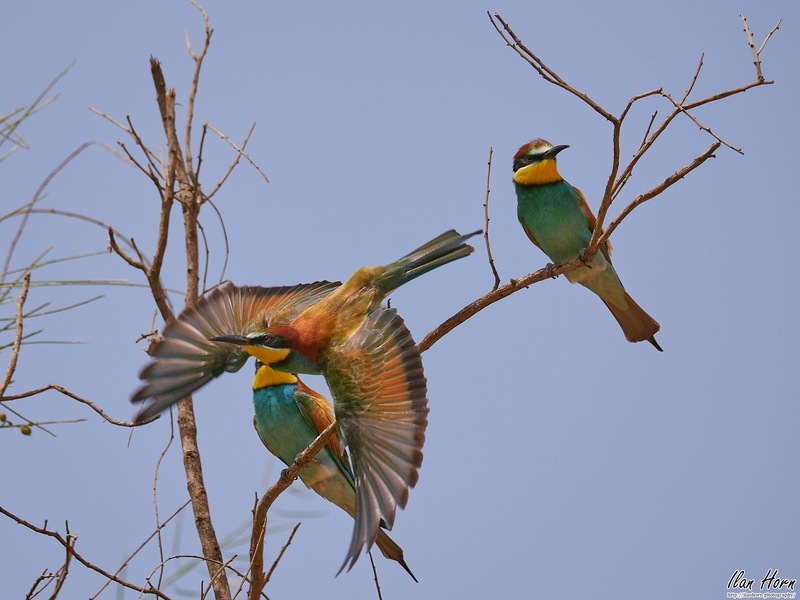 One of my favorite times of the year is now - this is when the European Bee-Eaters come to Israel! They arrive every spring to nest here, and leave after the summer. 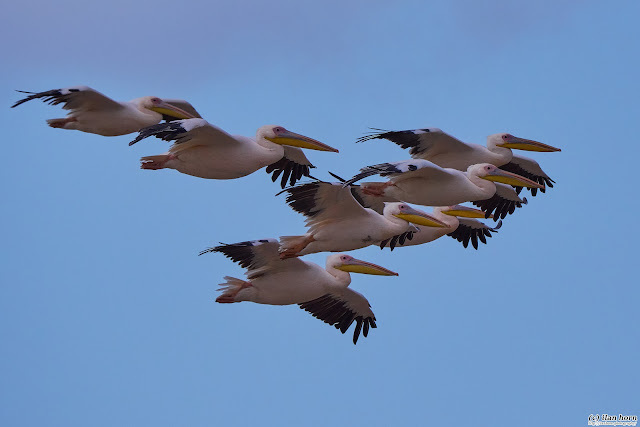 Arguably the most beautiful birds in the Israeli sky, they look like works of art! What do I like about this photo? Three is a wonderful number of subjects in a photo. Each one is in a different, interesting pose, with the central one grabbing most of the attention, obviously. The full spread of the wings is captivating for the eye. The colors are beautiful, and provide good contrast against the dull sky. I used a fast shutter speed (1/2500 of a second) to freeze the action, so the Bee-Eaters are sharp. What would I want to improve? The sky is a bit too dull and too bright - a different background might have been a big improvement. 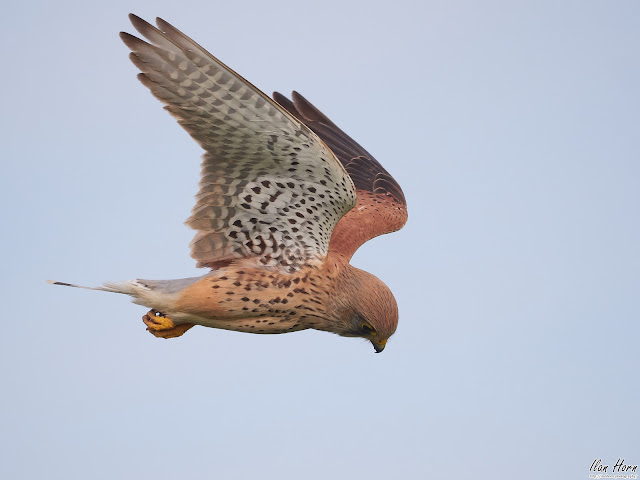 Also, the tips of the wings are a bit blurred - I probably should have used an even faster shutter speed (something along 1/4000 or 1/5000 of a second).